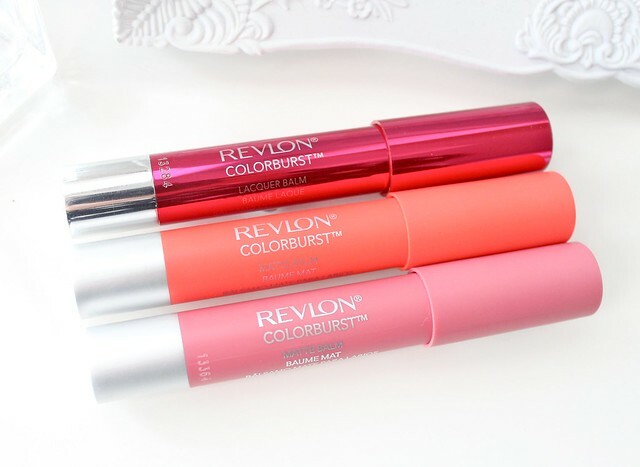 Recently Revlon launched a new range of lip balms to add to their already popular 'Just Bitten Kissable Balm Stains'. The two new ranges, lacquer balms and matte balms have different textures to the original balms (can I say balm one more time?) and different packaging. I've read lots of reviews about these recently, most of which have been very positive so whilst Boots is in the middle of a 3 for 2 offer, I couldn't resist picking some up. I bought 'Flirtacious' which is one of the lacquer balms and a gorgeous berry pink and two of the matte balms in the shades 'Audacious' and 'Elusive' - a bright coral and a dusky rose pink. All of them are absolutely beautiful and definitely my kind of shades! I love that the packaging represents the colour inside and the texture - glossy packaging for the lacquer balms and matte for the matte balms! The only thing that has remained the same is the crayon style applicator which I absolutely love - they're fool proof! I have to say I'm not usually a fan of matte lip products so before I bought them, I was a bit hesitant about the matte versions incase they were drying which is one thing I absolutely hate about matte products. However, when I swatched them in Boots, I couldn't believe how creamy they were. Unlike other matte lip products I've used in the past, these balms feel exceptionally hydrating and creamy, despite their matte finish. They also don't cling to any dry patches and highlight imperfections which is a huge bonus! I think my favourite of the two shades I got would have to be 'Elusive' as its such a great every day 'my lips but better' kind of shade and I've been wearing that one the most. However, 'Audacious' is stunning too and I already know the vibrant coral shade is going to look amazing with a Summer tan! Flirtacious, the lacquer balm I picked up, is also very hydrating on the lips but I did expect that with this formula as it has a lovely high shine finish. I was slightly concerned when I first saw photos of the lacquer balms that they might be quite glittery but once again, when I swatched this in store I realised that they're just very glossy with a hint of sparkle and definitely not what I'd class as glittery. I really love the shade of this one too - I think this one will be perfect for a glam night out! As you can see from my swatches above, these balms are very highly pigmented, especially the matte versions and I think that's a great quality about them. Just one swipe over my lips and I'm good to go. The lacquer balm requires a touch more effort to get an opaque finish due to its glossy formula but that isn't a big issue - its nice to have the option of leaving it slightly more sheer or building it up to an opaque coverage. They're also very long lasting too which is another bonus! Overall, I really can't fault Revlon's latest offering! I'm very happy with all of them and I'd definitely recommend grabbing some while you can on the 3 for 2 offer! I might even have to treat myself to a few more from the range! You can find them at Boots here and here and they're priced at £7.99 each. 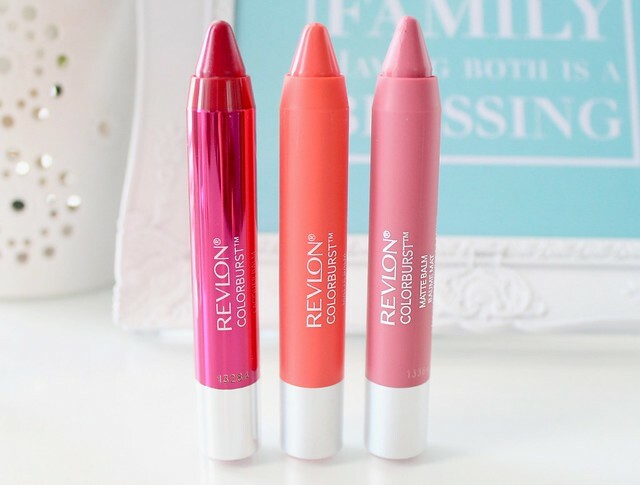 Have you tried the new Revlon lip balms? Are you more of a Lacquer or matte fan? These are so pretty I love flirtacious! 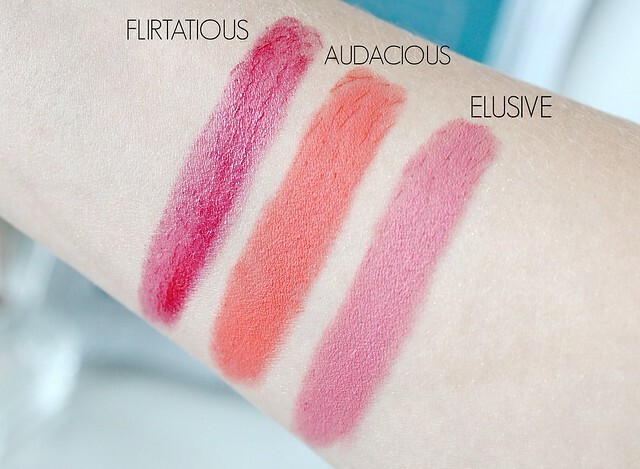 I bought Audacious and another one which name escapes me a few days ago and I'm already obsessed! I seriously think I might end up with quite a collection (and I'm not even one to hoard several shades of the same product). I'm so impressed with them. I love all of these! They are so pigmented and look amazing on the lips! these look amazing, especially audacious! Audacious and Elusive look lovely. 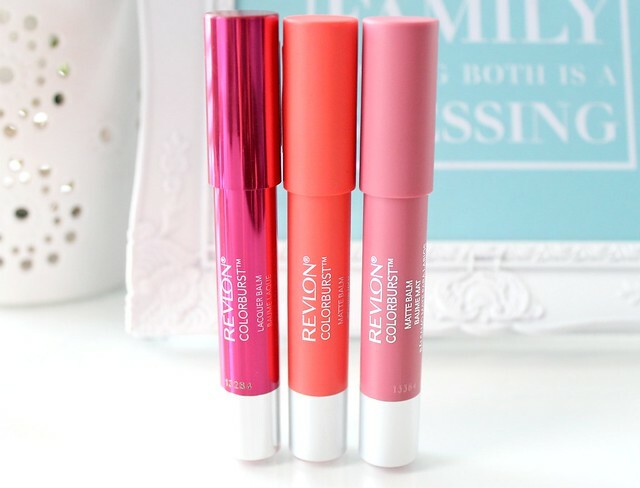 I'm not a fan of matte lip products either but those two look a lot creamier and balmier. Glad I saw this as I might actually buy some now! 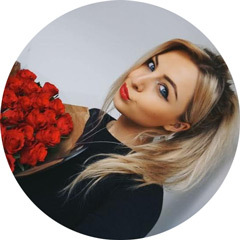 I love the dusky rose colour it's gorgeous , definitely one to give a go! Great post! I've had my eye on the matte balms since they first came out, but I'm never usually keen on matte lip products either. Audacious and Elusive look like gorgeous shades so I might actually pick them up now I know that they won't be drying! These look amazing. I love the orange coral colour. I have some bourjois ones which are very similar. I love these crayons, the Bourjois and Rimmel versions are also good. I did a post about them over on my blog too :). That Flirtatious swatch looks gorgeous! I love the packaging of the Lacquer balms, so shiny ♥ They're all such pretty shades, too! I have the standout matte balm and its the perfect red, but I wasn't really impressed with the lacquer balms I have demure and its just so sparkly. Elusive is beautiful I'm unbelivably impressed by the mate balms. I wanted to try one out after a few bloggers and friends raved about them, and I picked up Elusive too - I felt it was a little brighter than I expected (I'm used to dark reds etc, but wanted to go for something different) but I've been really loving it and will definitely look into getting another one! It's rare that I agree with a hyped-up product but I really do love this and hope to review it on my blog soon too. Audacious looks like my perfect summer shade! Love it. I love Revlon and this is no exception. The matte balms are a life saver for on the go application. They sound really great, I love the matte ones! Elusive looks like such a pretty colour. I bought from the Revlon collection last year and I loved them, so I imagine I will be investing in more this year..bad for my bank balance. I bought one of these, but after seeing these swatches, I want to try more! All beautiful colors. Agree with you. I have an Audacious shade. The colour is gorgeous but it doesn't hold on the lips for a long time. Everyone has found it stunning, I think it will be the most beautiful thing my future husband will ever see. Thanks a million the designer! I picked up one of the lacquer balms the other day and have been really enjoying it as well! 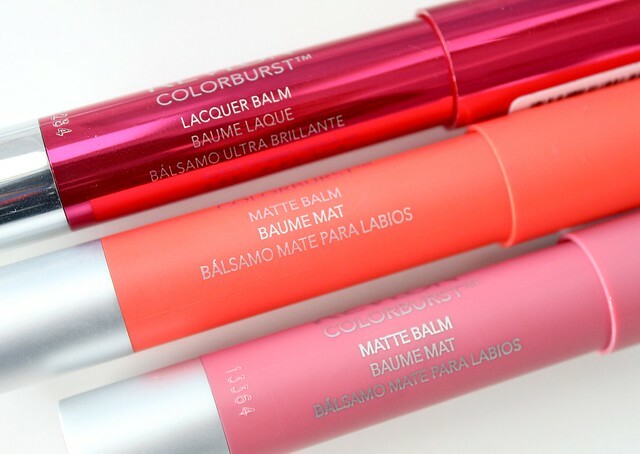 I'll have to give some of the mattes a try, Audacious looks lovely for an orangey summer lip. 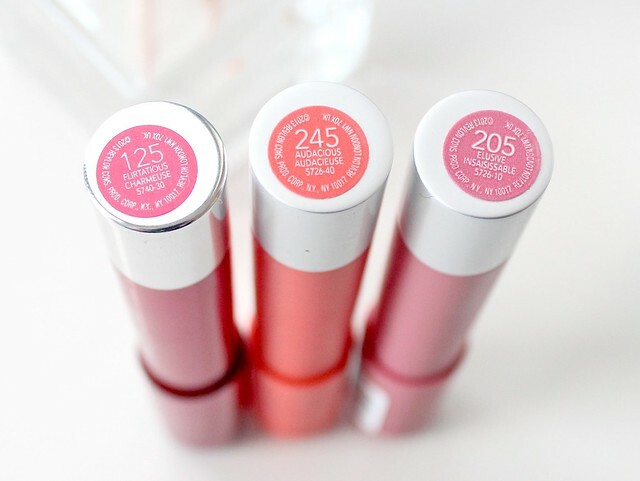 If you haven't tried the new Maybelline Color Elixr lipglosses (sorry if you've already mentioned these, I'm new to your blog!) I am obsesssseed with them. Super pigmented, feel amazingly buttery, super glossy but not glittery, etc. 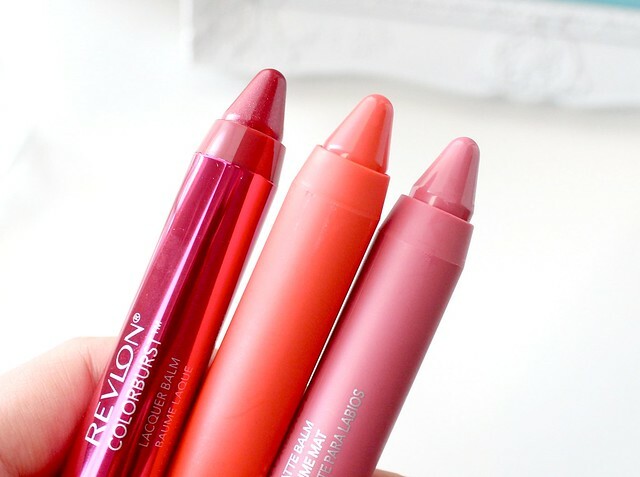 Have been using them over my high end lip products over and over again!